“The UK government has failed to deliver one of its most popularly supported policies to end overfishing and restore ocean health, by letting the landing obligation slip into existence over the last five years without any monitoring and or enforcement of the rules,” said program director Rebecca Hubbard. Instead of driving the transition to improved selectivity, better catch data and sustainability that the ban on discards was designed to do, “hundreds of thousands of tons of fish are probably still being wasted and we know even less about what is happening with our public resources at sea”, she continued. 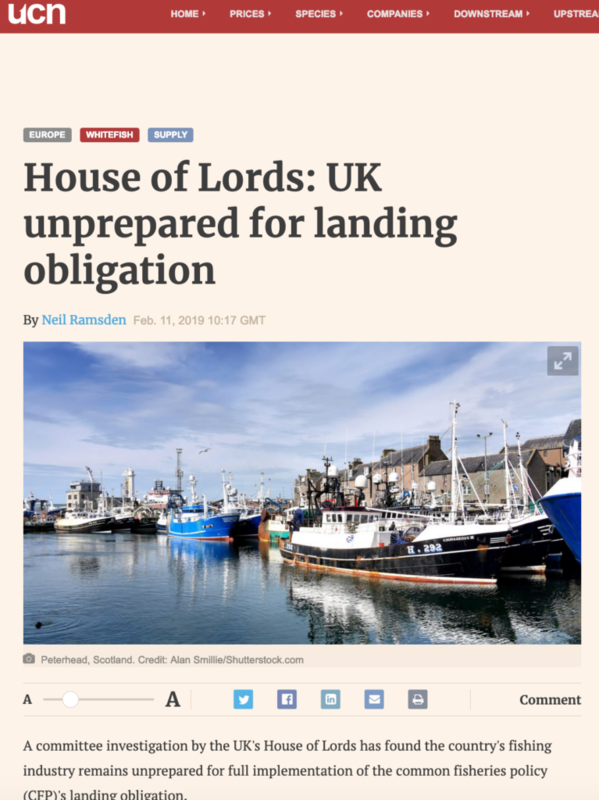 The fear is that the UK government will let its commitment to ocean health fall away in the transition to Brexit — including by failing to commit to setting annual fishing limits in line with scientific advice — she said.